Once a City Owl, Always a City Owl. Philly was the name of a Snowy Owl. in what is called an irruption. so that his movements could be tracked. a dangerous place for an owl. Philly was relocated to the farm fields of Lancaster. But that didn't last long. Philly returned to the airport. he collided with a plane. posted online at Project Snow Storm. I didn't make it down to see Philly to see him. 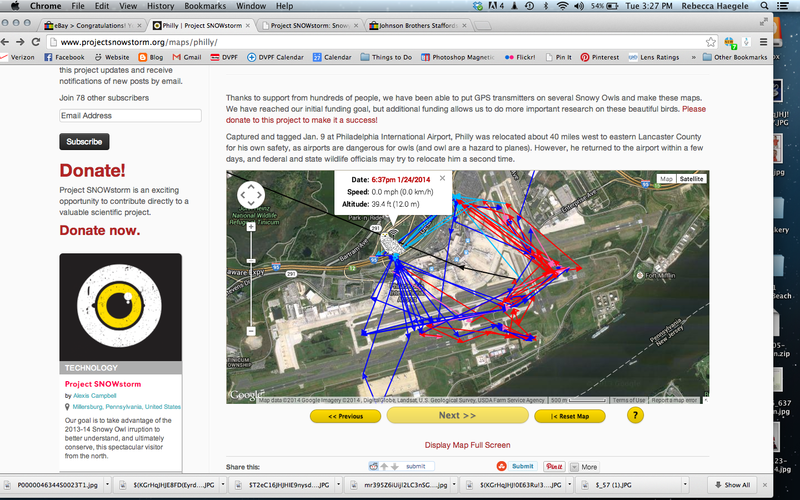 Snowy Owls and the gps project at Project Snowstorm. Sorry about the overly cropped and sharpened photos. and only had a 200mm lens and the owl was far from the road. How sad! Yes, there is an irruption this year. Snowy owls bred extremely successfully this year and at the same time their favorite Arctic food (lemmings) were scarce. So the snowies have traveled southward in search of food. What a sad story about Philly! I was so excited to see one. And so sad to hear this news report. OMG that is so sad. He was so gorgeous. I hope he died instantly. What a gorgeous owl! So sad that he collided with a jet. Sure hope he didn't suffer! So sad. 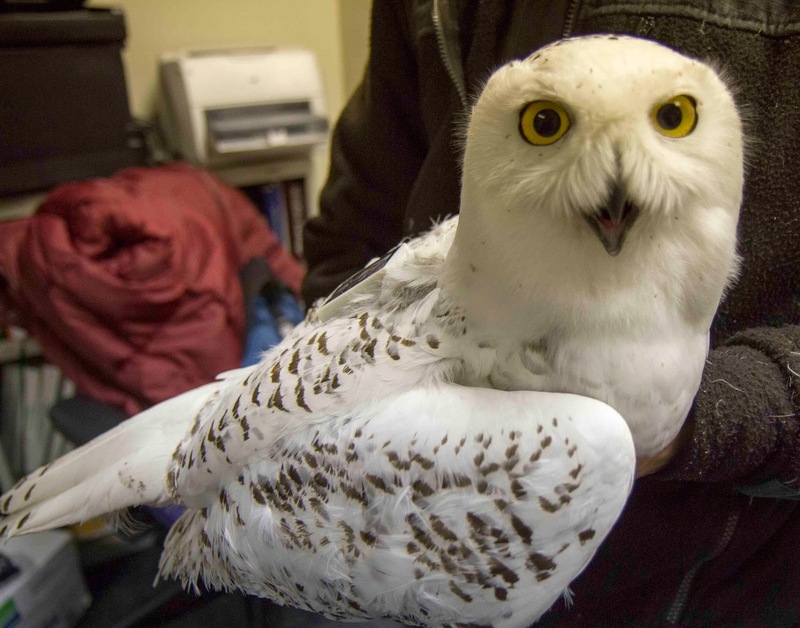 We have been having the problems with Snowy owls at our regional airport as well. They are such beautiful creatures. Wow...it was beautiful. But such a sad tale. Thanks for linking up at the Bird D'Pot this week. that is a shame. We have one here in my town in MA. as well. They are all over the place this season so i suppose it is to be expected that not all of them will make it. Still though, it is rather sad. Most that come down are juveniles and have a high mortality rate. A real beauty to see. oh sad. I have never seen a white owl. He was beautiful. Maybe another mate will take his place. Lets hope. Gorgeous bird. Wish he had preferred the country.